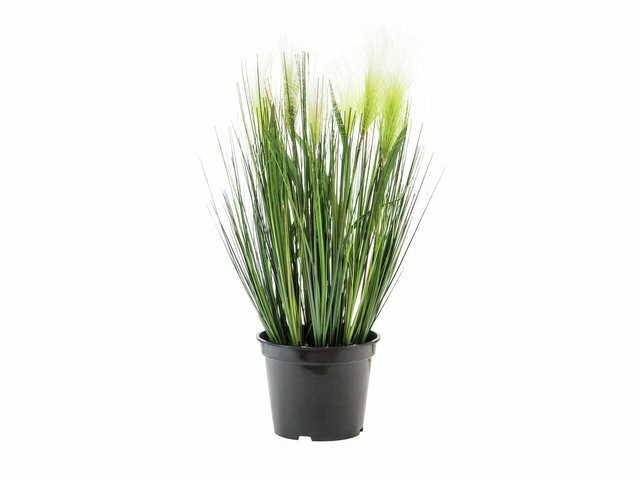 This artificial feather grass is a small, but nice decoration plant for living or working spaces. 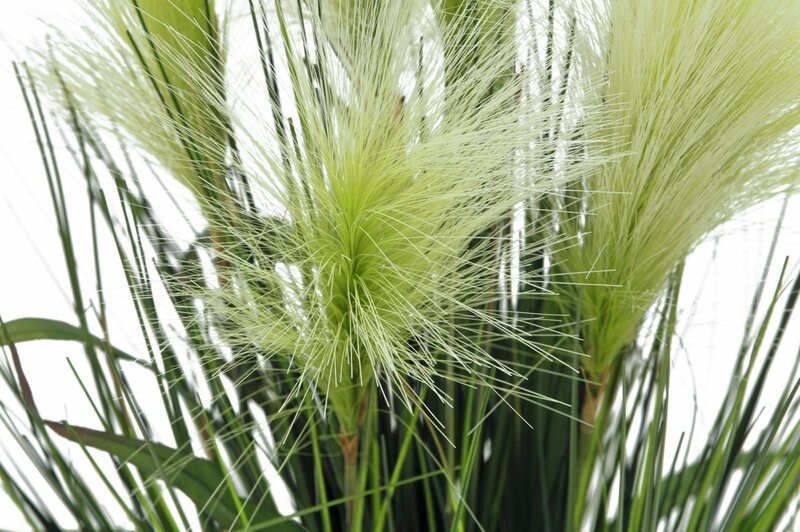 The grass has a height of 60 cm and is equipped with 4 natural looking, white blossoms. It stands in a simple cement pot. The plant falls into a nice shape on its own. 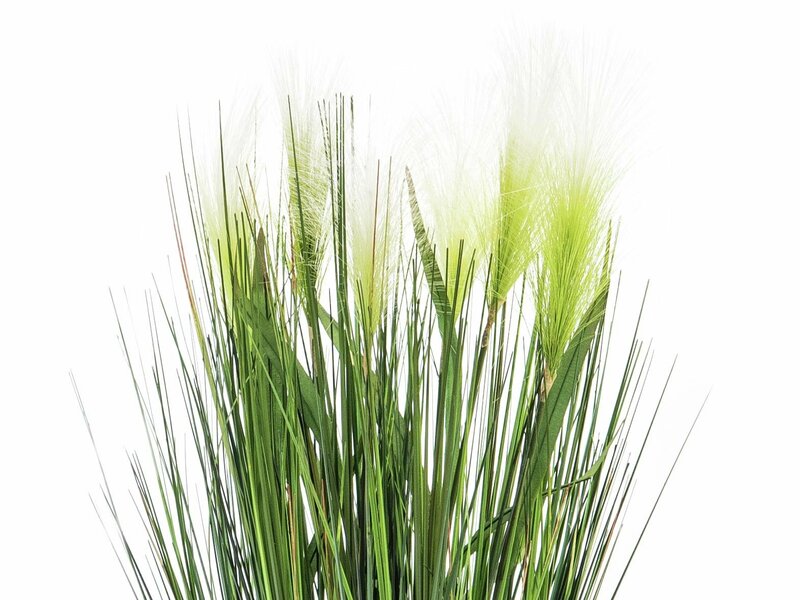 Our artificial grass is a gentle, simple decoration for any room. Plus, the plant always looks fresh and green. 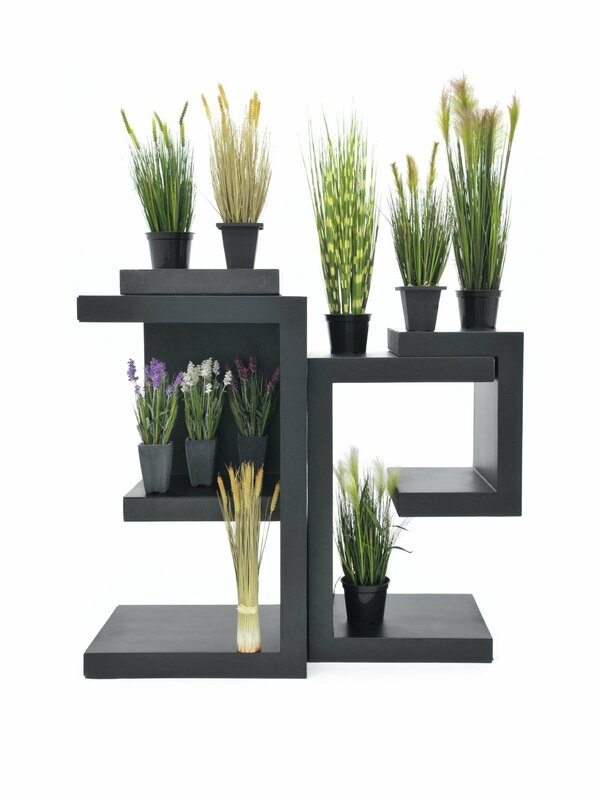 You won't have any trouble with this plant!